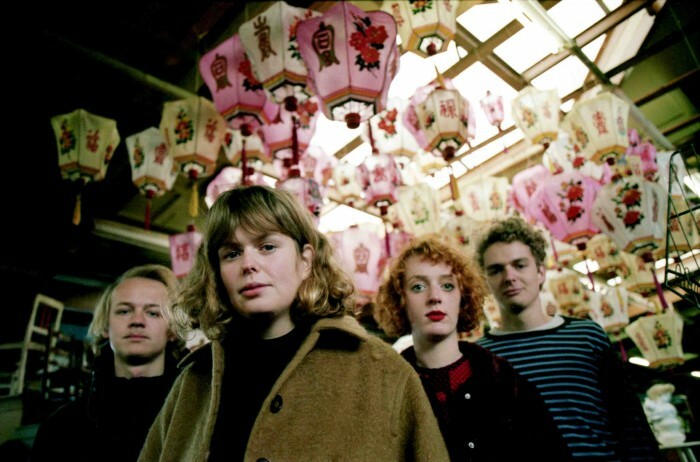 Amsterdam's indie rock band PIP BLOM hit South Street Arts Centre in support of their debut album 'The Boat' on HEAVENLY RECORDINGS (Temples / Boy Azooga / The Orielles). 22-year-old Amsterdam-based Pip Blom started writing, recording and releasing her own indie-pop tunes with a twist in 2016. 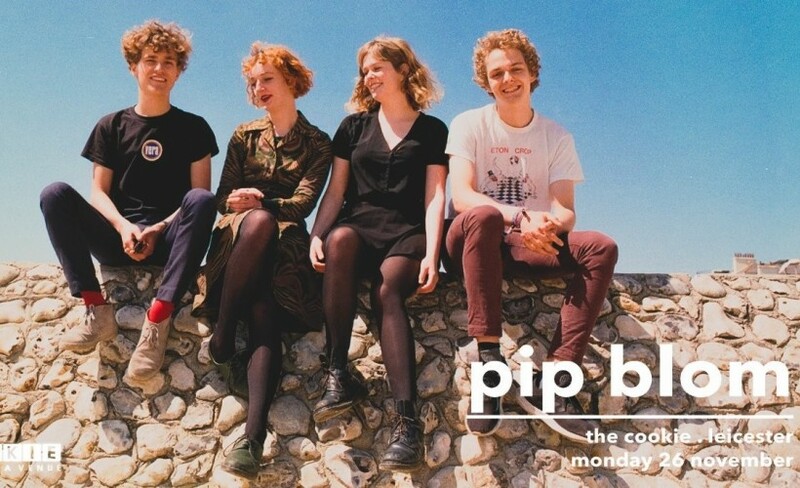 Early songs, which were simply uploaded to the internet, quickly amassed thousands and thousands of plays - prompting Pip to recruit a band and start playing them live. In stepped brother Tender Blom on backing vocals and guitar, Darek Mercks on bass and Gini Cameron on drums, with Pip herself fronting on guitar on vocals. Since, the band have played more than a hundred gigs, rising from small pubs to the european festival circuit with performances at Eurosonic Noorderslag and The Great Escape - as well as being asked by the likes of Surfer Blood, Franz Ferdinand and The Breeders to join them on their various European tours. The band’s energetic live show quickly pricked the ears of press and radio - with Vice’s music channel hailing Pip as ‘ready to join the ranks of 2018’s rising guitar acts', and BBC 6 Music A-listing recent singles ‘I Think I’m In Love’ and ‘Pussycat’. The station’s DJs Marc Riley hailed the former as ‘perfect pop’ with Gideon Coe branding it ‘excellent’ and, elsewhere, on the UK’s most popular music station BBC Radio One, Pip Blom performed a live session at Maida Vale for Huw Stephens. Not bad going for someone whose early ambitions were to write a few songs and upload them to the internet in case people wanted to hear them." Something special happened to Pip Blom at the tail end of last year. It was a busy twelve months that saw the release of her frenetic EP ‘Paycheck’, two A-Listed singles at 6 Music and support slots to the likes of The Breeders, Franz Ferdinand and Garbage. Capping that off, though, moments before stepping onstage at a sold out Lexington – the London stop-off on her debut UK headline tour – the band put pen to paper and signed to HEAVENLY RECORDINGS. Full access for disabled customers to all areas of the building except for the San Francisco room. Unreserved wheelchair seating is available, please mention if you require this when booking. Limited disabled parking is available and for evening performances, parking is available outside the front of the building. Please mention when booking if you require any special assistance. South Street can be found on the south side of Reading town centre, on the corner of South Street and East Street, near The Oracle. At the station, walk down the new concourse to the Heathrow airbus exit and cross over the road to Blagrave Street, where you will see The Town Hall on the left. Go past this and through the pedestrianised The Town Hall Square and cross over by St Lawrence's church to the post office in the market place. Keeping to the left hand side of the Market Place, go down the hill to the traffic lights and cross straight over to Duke Street, over the river bridge, straight over the lights ahead and into London Street. First left up the hill is South Street, with the venue about one hundred metres on the left. There is a limited amount of parking for patrons at the rear of the venue. This is free of charge. Queens Road public car park is a 2-3 minute walk from South Street.